REQUIREMENTS: Minimum Bachelor’s degree in Business and/or Administration or closely related field. Requires experience 1 year in General Administration or related field. Knowledge of Spanish language. JOB DUTIES: Prepare and review operational reports and schedules to ensure accuracy and efficiency. Analyze internal processes and recommendations and implement procedural/policy changes to improve operations (i.e. supply changes, records disposal). Participation in client meetings and preparation of client contracts and provide clients regular progress updates. EDUCATION & EXPERIENCE: Requires Master’s degree in Instructional Design & Technology or equivalent plus two-year work experience as a Training Specialist or closely related. Train customer groups on the application of newly installed software and hardware devices and provide continuous training support based on requests. Assess training needs or performance gaps through surveys, interviews with customer representatives, focus groups, or consultation with business owners or functional managers in the clients’ groups. Design and develop training solutions to improve knowledge or skills, using a variety of instructional techniques or formats, such as online learning, micro e-learning, on-the-job guides, Read & Understand materials, or in-person workshops. Design and develop a scalable skill-based training program to support the successful implementation of software and the installation of hardware devices, to help customers’ shorten ramp time, improve proficiency and boost productivity; Develop means of measuring the effectiveness and efficiency of training programs and monitor their ongoing impact; Evaluate, sustain and update training materials for ongoing operations to ensure training content accuracy and validity; Deliver in-classroom workshops on the application of new or existing technology software or hardware devices. Optimize the use of technology to provide efficient, effective and user-friendly tools; Stay abreast of the training industry (including adult learning, instructional design, e-learning, and performance improvement) in order to provide clients with learning leadership, being fully aware of the most current learning trends and tools available. 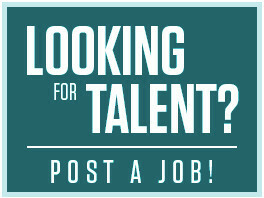 CONTACT: Please send resume to sam@pintec.net, Pinnacle Technology.